Generalscan Android Enterprise Sled GS MT6500-SE is designed for retail, healthcare, warehousing, logistics & express. 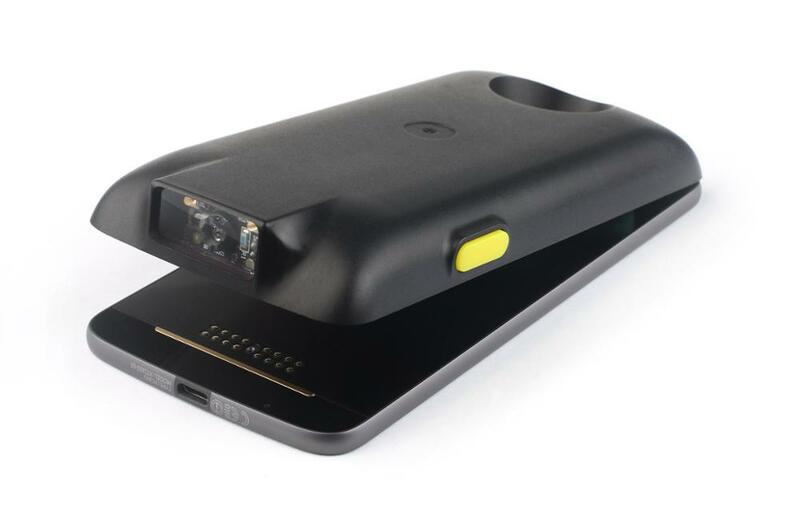 It transforms Motorola Moto Z Android Smartphone into enterprise-ready barcode sled that provides users with instant access to checkout, product and inventory information in the store. MT6500-SE embedded advanced high performance 2D barcode scan engine, deliver you fast and accurate reading even for poor quality barcode. 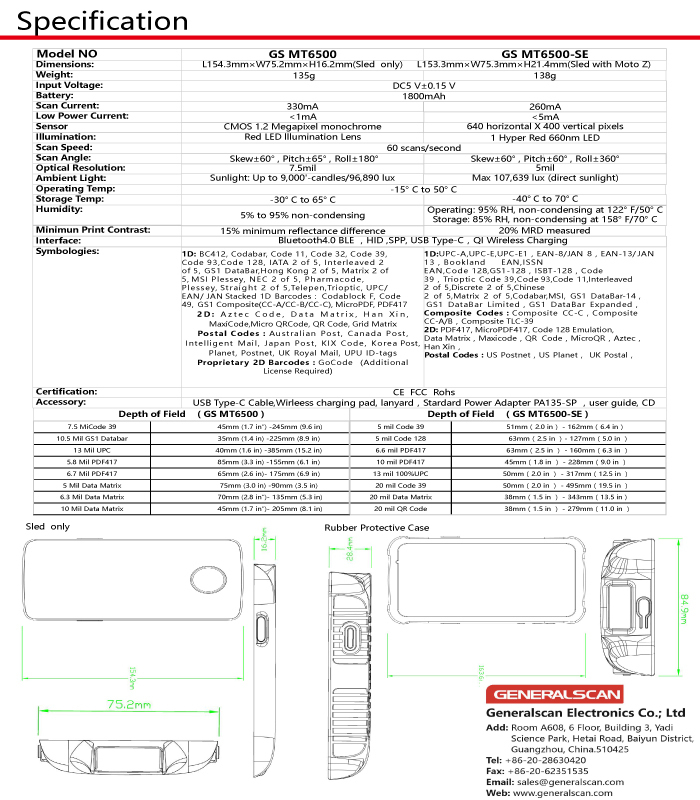 With 1800 mAH lithium ion battery, MT6500-SE can allow you scan the barcode for a whole day. Wireless charging function make the device charging more conveniently . The MT6500 series enterprise barcode sled has sleek, compact and solid silicone housing which can provide added durability to the smart phone, this protective case canmake sled overall protection from 1.8 meter drop and shock. Simply through the magnetic contacts and mobile phone adsorption, your cell phone in an instant turned into an enterprise barcode sled. Motorola Moto Z which standby to 20 hours is made of military-grade aluminum alloy. Android 6.0 operate system; Quad-Core CPU and 5.5" main display are all at your fingertips. It also supports 2G GSM; 3G CDMA, WCDMA, TD-SCDMA; 4G TD-LTE, FDD-LTE networks. You can run your application smoothly and stably which benefit from Moto Z high quality standard and fine-tuned android system, you do not need to worry about system has no response, be halted or restart, such as low quality, heavy and out-of-date PDA does. 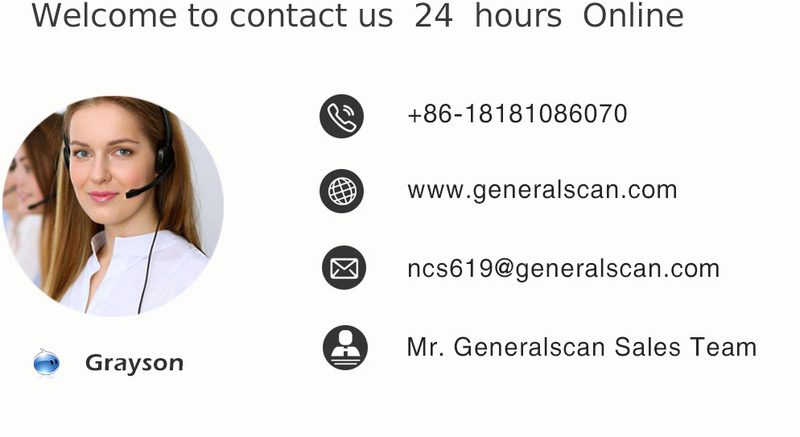 You can install Generalscan Keyboard application to android system or integrate Generalscan SDK into your application to read data. 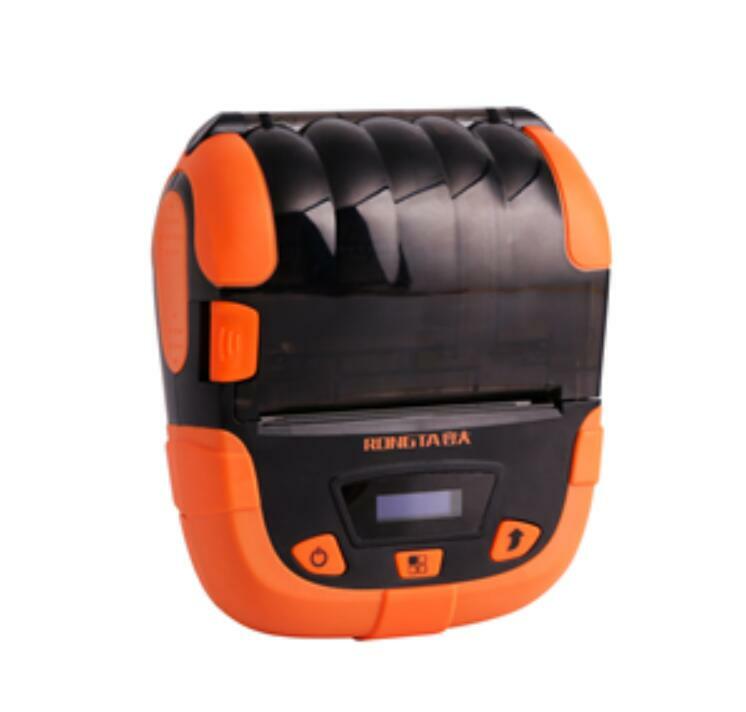 1.Barcode Scanner one year free warranty for machine. 2.Battery warranty is 6 months.